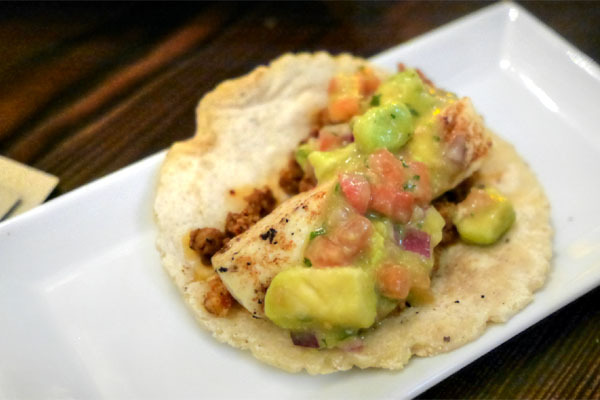 Over the past couple years, one of the preeminent forces in Los Angeles' Mexican scene has been Ricardo Diaz. 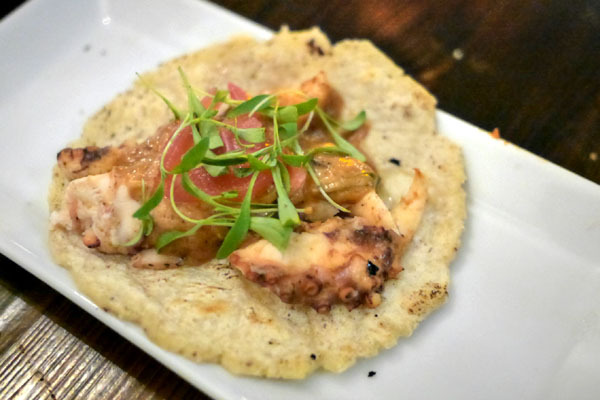 Through his involvement in places such as Guisados, Bizarra Capital, and Colonia Taco Lounge, he's done a lot to propel the cuisine forward. As such, I had to make sure to visit the Chef's latest restaurant: Tacoteca, a venture with Adam Fleischman and Lee Weinberg's AdVantage Restaurant Partners (Smoke.Oil.Salt) that brings Diaz's cooking to the West Side for the first time. 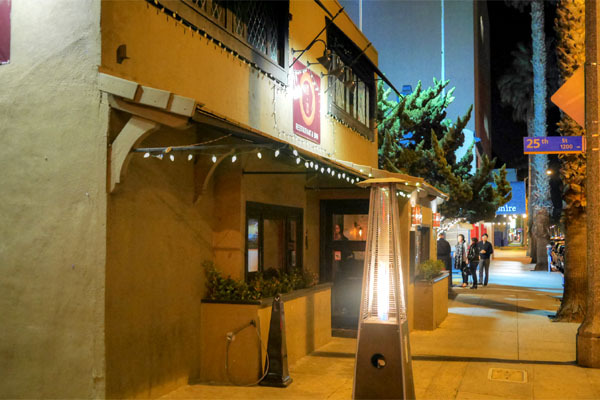 The restaurant resides in the building that was once home to Jet Tila's Charleston. The space has been revamped, but the vibe isn't all that different than before. Lighting in certain spots, unfortunately, was need-your-phone-to-read-the-menu bad, so you may want to watch out for that. 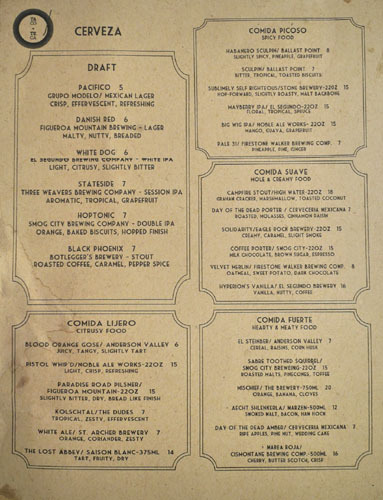 Tacoteca's menu, unsurprisingly, starts with tacos, examples reminiscent of the ones you might find at Colonia, and finishes with a number of other sundry, non-taco items. 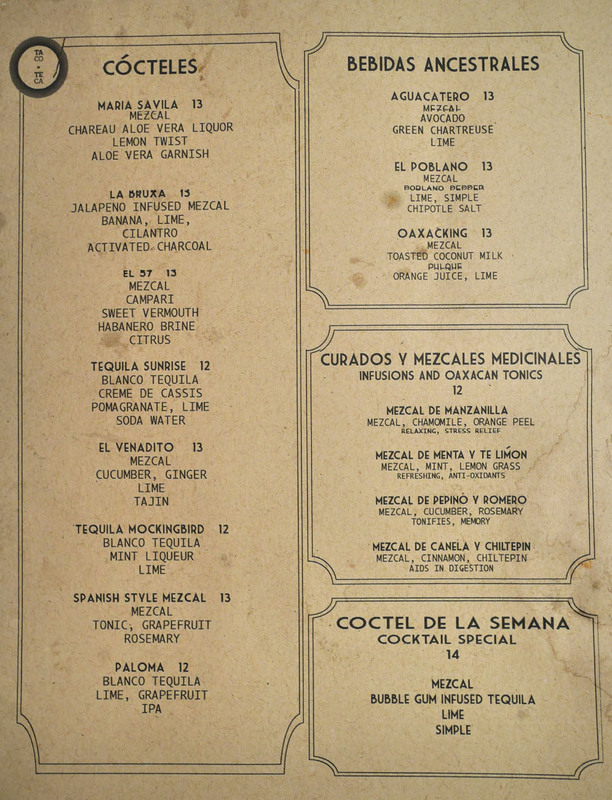 Drink-wise, you get mezcal-heavy cocktails from barman Gilbert Marquez and a pretty legit list of craft beers, ostensibly compiled by Brad Japhe. Click for larger versions. 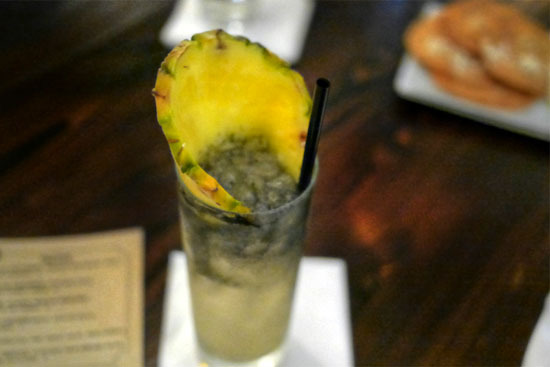 We opted for cocktails this evening, and got things going with La Bruxa, a tasty concoction that gave up a tropical, pineapple-y sweetness up front, smoke on the midpalate, and a finish redolent of spice, the whole drink overarched by traces of cilantro. 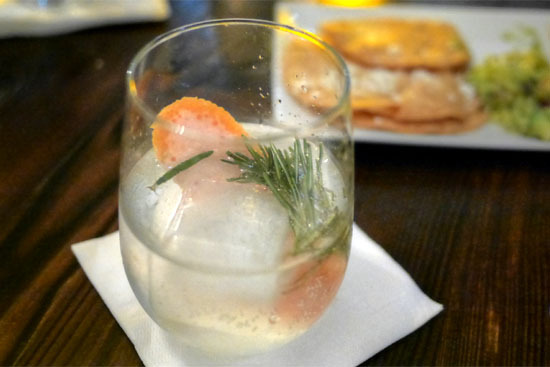 The Spanish Style Mezcal, meanwhile, was akin to a mezcal-laced gin-tonic, with its classically bright, juicy, aromatic flavors playing well with the headiness of the spirit. Guacamole's always a fitting way to start, and the version here had your classic, creamy goodness, but joined by a very palpable smoky element. 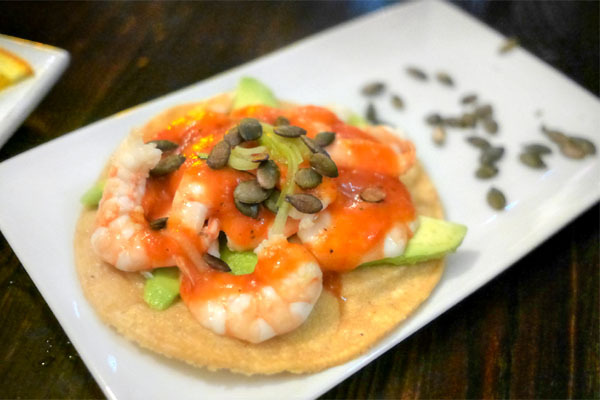 Excellent crispness on those tostadas, too. The first taco was certainly to my liking, with the spice of the chorizo balanced by the comparatively mild cheese while the tangy lushness of the salsa helped tie everything together. An enjoyable temperature contrast here as well. Octopus arrived super tender, with a lovely bit of char savor that paired surprisingly well with the sweetness of the peanut condiment. The Oaxacking made a nice showing for itself, light in essence despite the presence of mezcal, with an interesting element from the incorporation of pulque and a finish of sweet coconut. 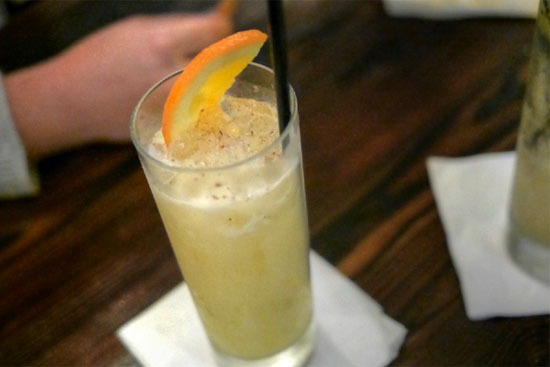 The Maria Savila, on the other hand, veered much boozier, with an accent of citrus and a spicy, herbal quality to it. I didn't get too much aloe, though. 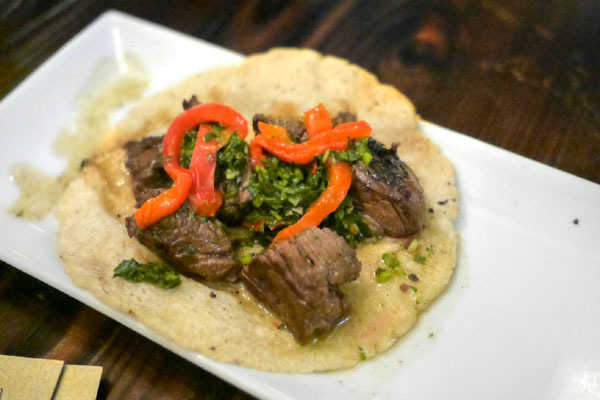 The ubiquitous carne asada arrived in meaty, satisfying, well-textured chunks, imbued with a great bit of heat and keenly paired with the tangy chimichurri. 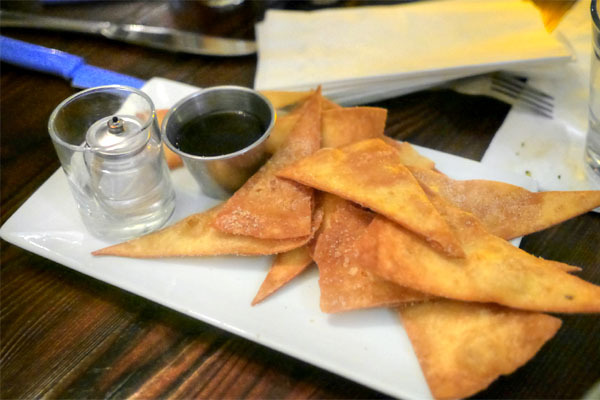 We had a birthday in the group, so a plate of complimentary buñuelos arrived, though at an awkward time in the meal (shouldn't dessert be at the end?). They had a good spice to 'em, and the zing of the absinthe-laced condiment was neat, but really should've been served warmer. Another winner was the lamb taco, a juicy, super flavorful presentation beautifully set off by the classic pairing of mint. 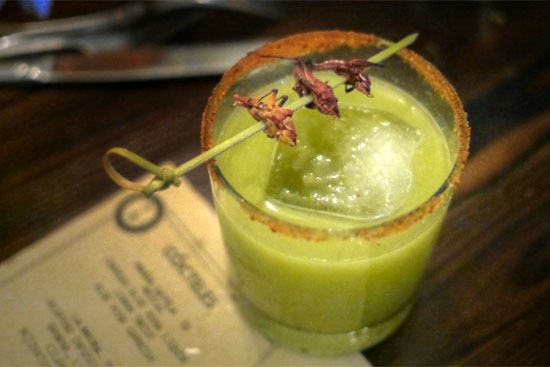 Our third round of cocktails brought us El Venadito, which had a base of mezcal tempered by the use of cucumber and ginger while the Tajín rim gave up a salty, spicy counterpoint. 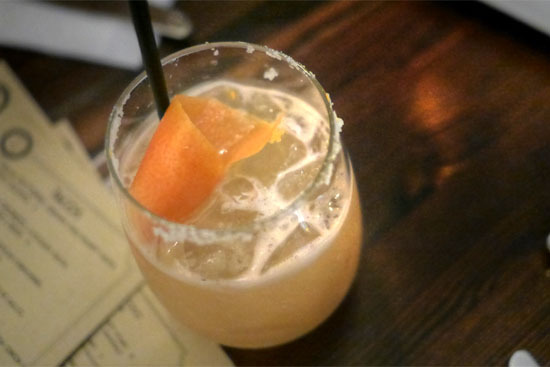 Meanwhile, the Paloma was my favorite drink of the night. I found it super well balanced, with a perfect blend of citrusy and tequila flavors finished by the bitterness of the ale. The queso taco was another standout for me, thanks to its delicious interplay between the delightfully charred cheese and the salty, savory potato, with the salsa adding a perfect accent piece to the dish. I wasn't so enamored with the chalupa though, finding it the weakest course of the night. 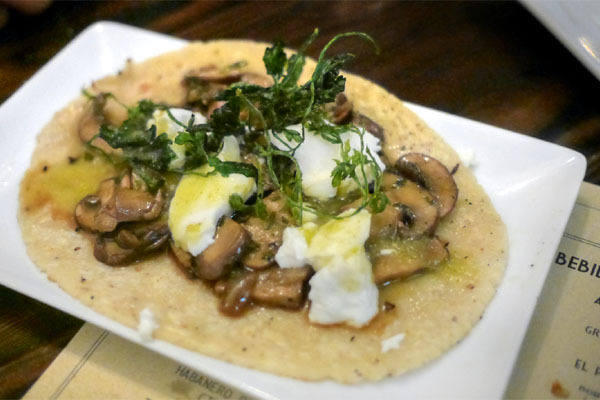 The flavors of the mushrooms felt a bit muddled, and the cheese tended to overpower things to boot. Some more acidity and/or spice would've been appreciated here. 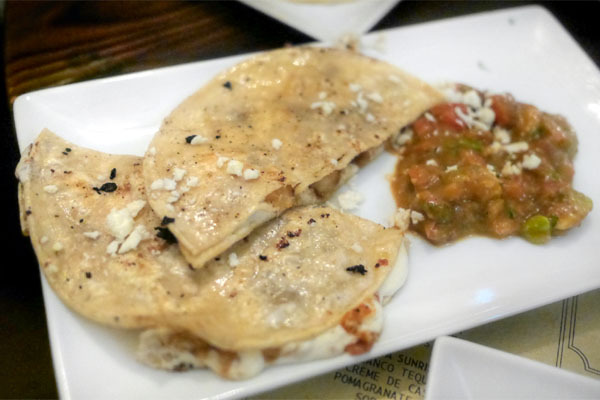 At the same time, the quesadilla managed to be a table favorite, a blast of porky goodness and delightfully crunchy textures, all brightened up by the accompanying salsa. Yum. 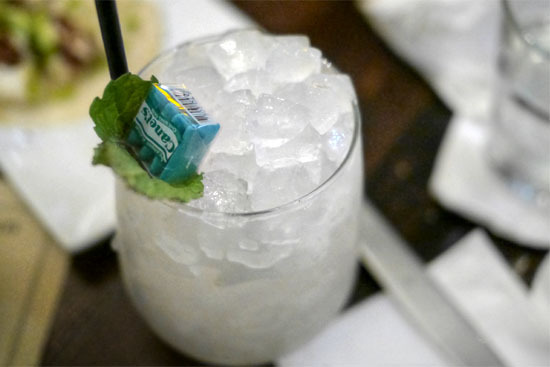 The Coctel de la Semana ("cocktail of the week") managed to incorporate Canel's bubble gum, which I'd never seen done before. 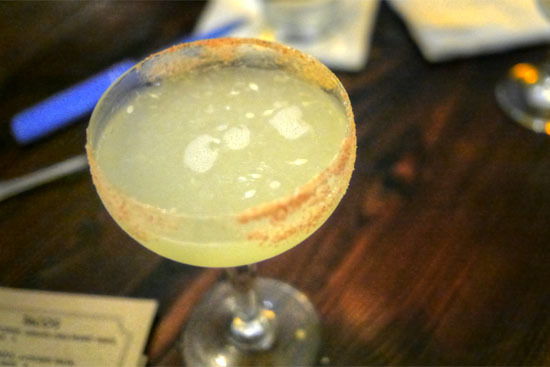 The sweet chiclet flavor actually melded surprisingly well with the tequila, providing a touch of levity to the spirit while the lime gave things a needed acidity. 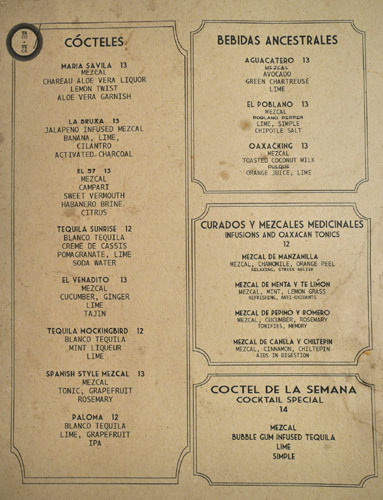 I also enjoyed the Aguacatero, which was fairly restrained with the avocado, but otherwise drank very well, with a commendable balance between the Chartreuse and mezcal. 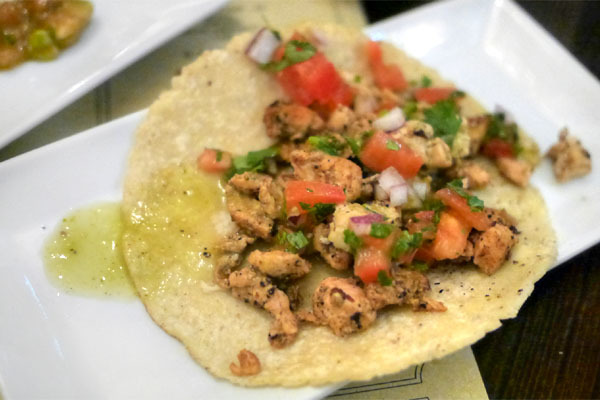 The grilled chicken was probably the least interesting of the tacos, but still tasty, with sort of a classic interplay going on between the bird and the tangy salsas. 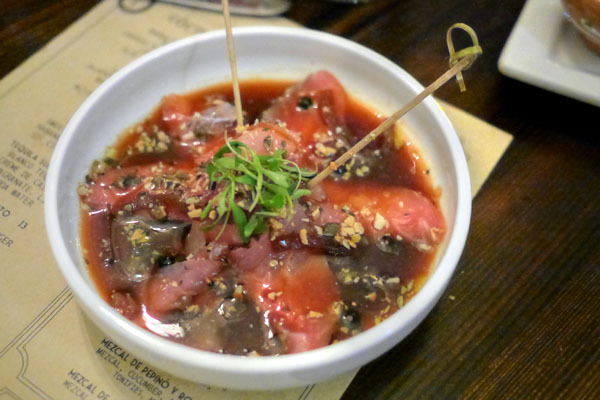 Tuna was well-textured and given an Asian-y slant here. The soy, though, was a tad overwhelming, masking some of the inherent goodness of the fish, though I did appreciate the levity provided by the herbs up top. 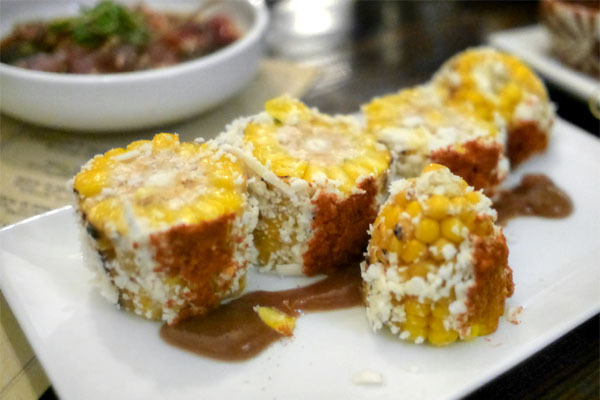 Diaz's nod to elote certainly satisfied, with the sweet, toothsome kernels of corn working hand-in-hand with the traditional accoutrements present. 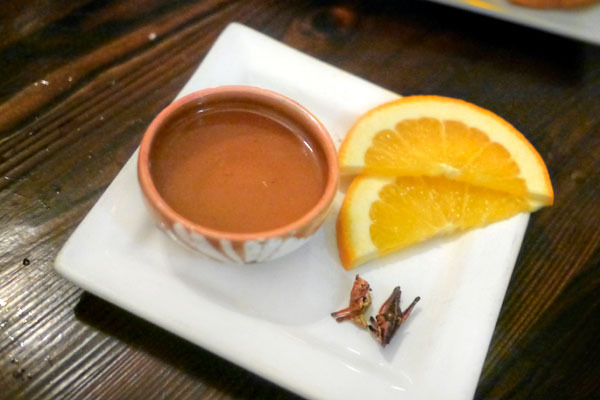 Our final tipple was a shot of cucumber- and rosemary-inoculated mezcal, to be drunk in the traditional style: dip the orange in the sal de gusano ("worm salt"), sip, and then finish by popping some salty-sour-smoky chapulines (grasshoppers). Rounding out our meal were a couple of tostadas. The first featured some nicely cooked, but mild-tasting shrimp. I would've liked some more acidity, some more heat to kick things up a notch, though I did really appreciate the nuttiness and crunch of those pepitas. The verduras tostada fared better. There were some great textures going on, and a more complex, multifaceted flavor profile--a smart presentation of veggies. 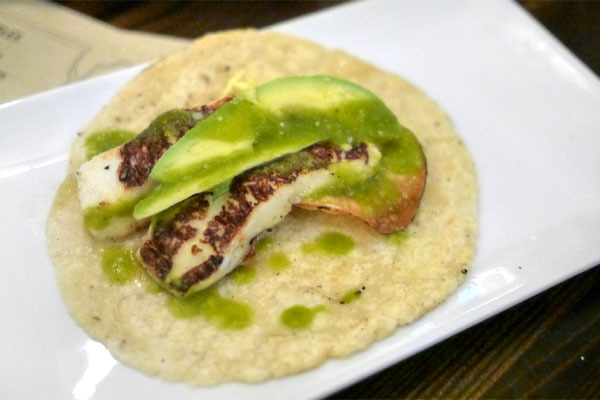 Tacoteca looks to be a welcomed addition to the Mexican landscape here in Santa Monica. 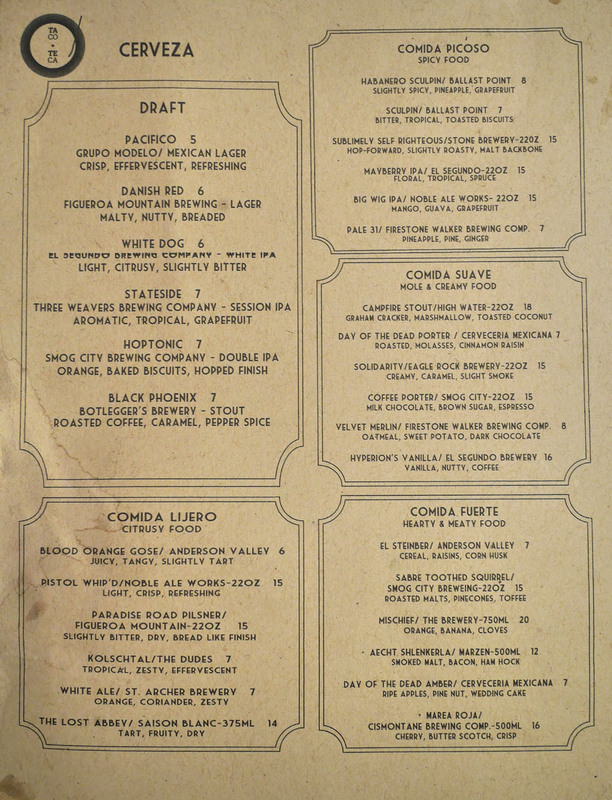 The food was quite tasty for the most part, as were the drinks, and it's good to have access to Diaz's culinary stylings west of Downtown now. 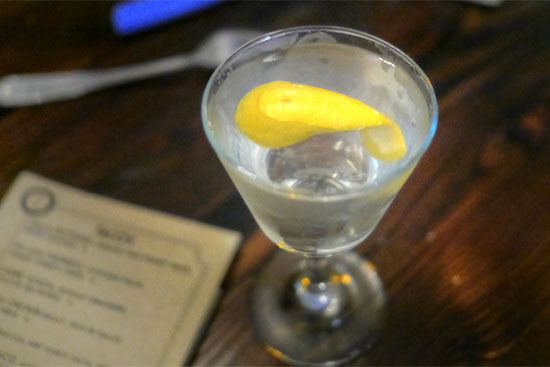 I would like to have an expanded menu of offerings here (e.g. 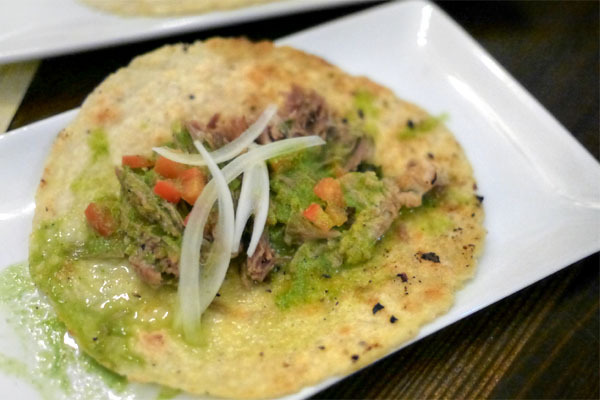 Colonia has about 15 types of tacos on offer at a given time), including some more adventurous items (huitlacoche anyone?). Hopefully we'll see that once the restaurant has had a bit more time to settle in. 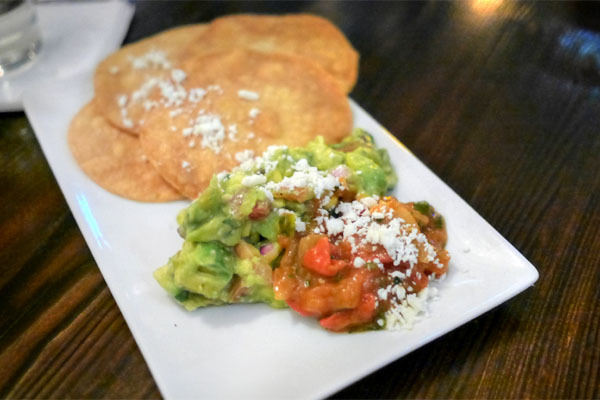 Being a fan of Guisados, Bizzara and Colonia I too was looking forward to this west side location, but the prices seem a touch high even when taking location into consideration. No match for tacos Punta cabra. 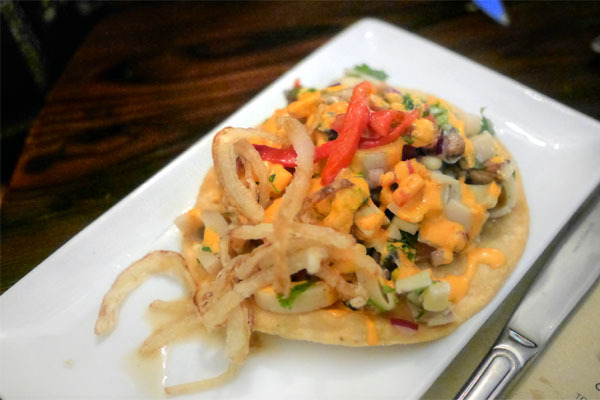 Vinh: Prices per taco are probably 50%-75% more I'd say, which doesn't surprise me too much, though perhaps it should. Anon: They have a much more limited menu, so it's not a clear cut comparison.